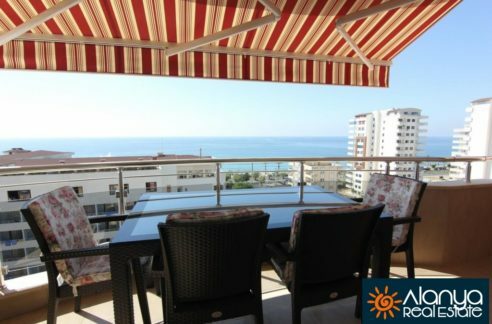 126 m2, 3 room, 2 bathroom, 200 m to beach, year built 2009, 5th floor, swimming pool, property is fully furnished.This penthouse is located in central Mahmutlar, and just 200 meters from the lovely sandy beach. There are alot of Europeans in the complex, with a good neighbourhood. The apartment is sold fully furnished with air conditioning and appliances. The penthouse has a living space of 126m2 and is light, airy and spacious. The apartment has a spacious living room with open kitchen, two bedrooms, balcony, roof terrace, seperate toilet and bathroom. From the roof terrace there is a lovely view. Here you have a very short distance to Tuesday bazaar. A perfect place to get fresh vegetables and fruits at a low price. 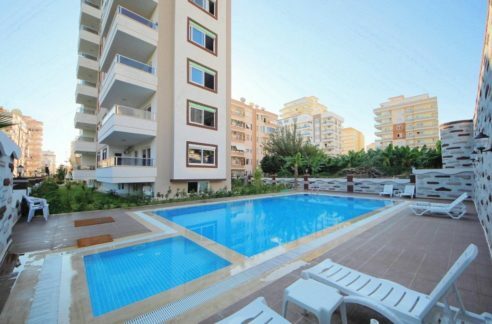 Here we offer a good opportunity to fulfill your dream of an apartment in a central location on the Turkish Riviera – whether for vacation or extended stay. Price: 69.000 Euro’s + 3,57% realestate agency comission! 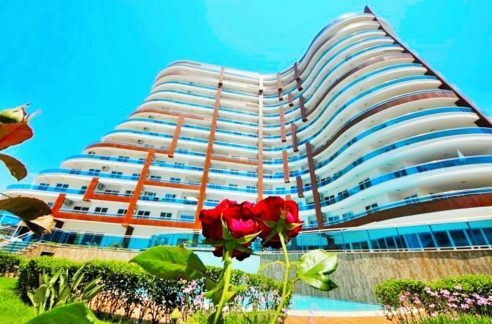 Please contact for further details.Duplex Penthouse for sale in Alanya mahmutlar 69.000 Euro. 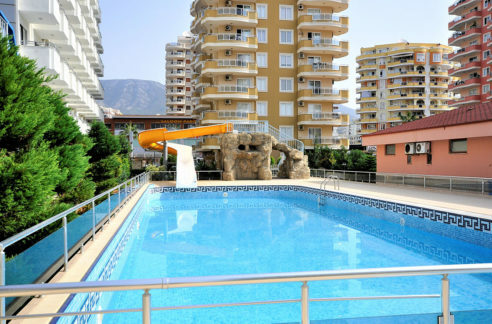 Alanya Real Estates Alanya Real Estates » Properties » Penthouse - Duplex » Duplex Penthouse for sale in Alanya mahmutlar 69.000 Euro. Sea view Duplex Penthouse for Sale 69.000 Euro. Alanya Mahmutlar Seaview Apartment for Sale 95.000 Euro.